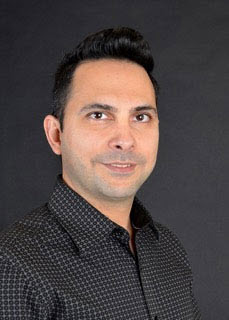 Born and raised in the North shore, Dr. Sherwin Nabi attended the University of British Columbia, where he completed both his Bachelor's degree in honors science and mathematics and his dental degree (DDS). After completing his dental studies, he pursued his passion for a dental career with a one-year General Practice Residency (G.P.R.) at Vancouver General Hospital. During his residency, he had the opportunity to get hands-on training in the areas of dental implants, oral maxillofacial surgery, endodontics, periodontics, prosthodontics, and pedodontics. After receiving extensive dental treatment as a teenager and learning to overcome his own fears and anxieties, Dr. Nabi now takes pride in providing gentle, compassionate dental care to patients of all ages. He is a strong advocate of truly pain-free dentistry. Continuing education is an important component of Dr. Nabi's professional philosophy. During his GPR training at Vancouver General, he acted as a clinical instructor at UBC Dental School. With a belief that a high quality of care is dependent on staying abreast of industry trends and technologies, he has further expanded his training by attending continuing education courses across North America. Dr. Nabi is a member of the Association of Dental Surgeons of British Columbia, the Canadian Dental Association, and a past member of the Vancouver Dental District Society. Dr. Nabi is happily married and has a newborn baby boy who is the love of his life. When he’s not working or spending time with family, Dr. Nabi loves playing soccer, jogging, working out, and playing chess. He enjoys teaching chess to kids in the North Burnaby School District. Dr. Sarang Toosi attended the school of dentistry at the University of British Columbia, after practicing Electronic Engineering for a couple of years. He has devoted many hours volunteering in under-served communities, both locally and overseas. He has even travelled to some remote areas of Uganda, to treat children without access to proper dental care. 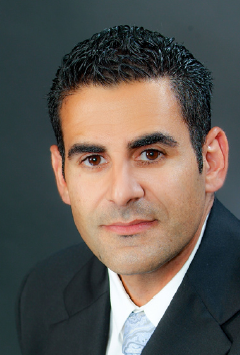 Dr. Toosi is a firm believer in evidence-based, conservative dentistry and continuing education. He continuously furthers his knowledge by attending lectures and conferences in areas such as cosmetic dentistry, orthodontics ( Invisalign ), gum surgery, and implant placement. Contact Your Burnaby Dentists Today!